At the end of last season, icenetwork released a series of picks and I decided to follow suit with a post. I like the format so much that I think I’ll repeat it again. So, without further ado, my picks for the 2012/2013 season. It’s a tie this year between Akiko Suzuki’s LP to “O” choreographed by Pasquerale Carmelengo and Kanako Murakami’s SP to “Prayer for Taylor” choreographed by Marina Zueva. Both of them were interesting and more than just the cookie-cutter Morozombie programs you see with the CoP system. I love the final step sequence in Akiko’s program and the unusual sequence of elements in Kanako’s SP. Yuzuru Hanyu at the NHK Trophy, skating his SP – honestly one of the most mesmerizing performances of the season. A great program and a great performer. I’m kind of sad that he’s not the record holder for the highest score for the SP but he’ll get that score again one day. He has the potential to do it. This year, the odds were tipped towards Meryl & Charlie who have skated brilliantly throughout the season. There are a few crazy fans out there who will bash against either team but I love both teams and how they push each other to be the best. *This* is what a skating rivalry should be about. Or skating in general. This element to the rivalry really brings back memories of the epicness of Plushenko vs. Yagudin. I think the level of epicness in this rivalry is pretty similar to that of the two Russian men. The Yags/Plushy rivalry was slightly more entertaining since the two men actually hated each other and would say it out loud on camera. LOL. Denis Ten at Worlds, especially in the LP where he won that portion of the competition. I don’t think anyone thought he had it in him to beat a whole slew of people for the silver medal. I also think that in a lot of people’s hearts, Denis won the gold at Worlds this year. Zijun Li at Worlds and 4CC. This girl can’t seem to skate a clean short but she’s just a little jumping bean in the long program! I’m keeping an eye out for this girl and her freshfaced look next season and I hope to see her improve more and more. Yuna Kim. Duh. It’s pretty epic how she comes back to Worlds without competing at any major international competition and wins calmly and effortlessly. I just wish her programs were a little more compelling. Girl, at 28, you’re skating better than ever. 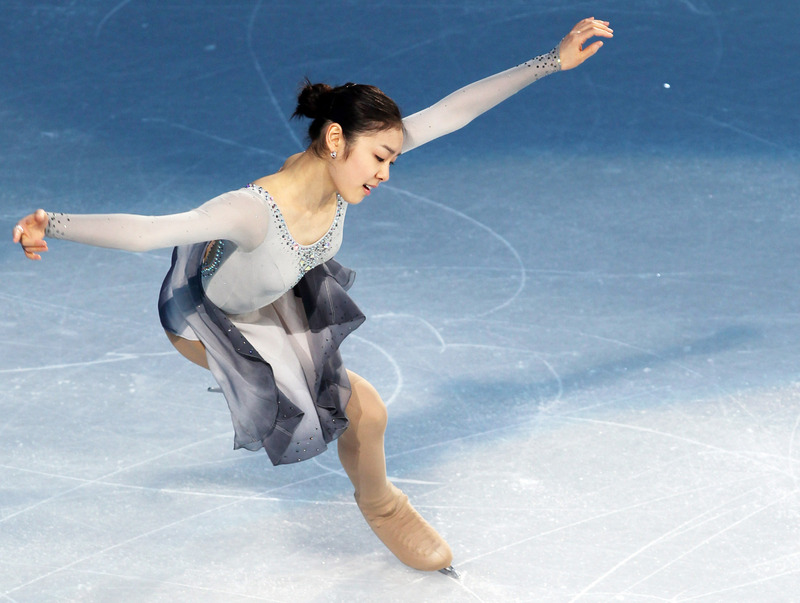 She’s the female Plushenko – dauntless, awesome and timeless. Please keep skating. I don’t care very much for their skating but I love the fun, quirky colours and patterns on Cathy & Chris Reed’s costume for their Beatles Medley FD. Super cute. Also, I feel as if someone needs to make a macro or meme using Chris’ face in this picture. This season has been quite eventful. What are your picks for the season? Post them in the comments below or send me a link to your list! So it was a funny situation yesterday. In the evening, I was working on something when suddenly, I just couldn’t concentrate. Something was off and whenever I tried to go back to my task, I just couldn’t do it. I looked at the time on the corner of my computer screen and saw the time. “Maybe it’s time I just call it a night,” I thought. But then I saw the date and thought, “Hey! The WTT starts tomorrow!” But then, I realized, it was already tomorrow in Japan! My figure skating senses were tingling and they did so just enough to catch the last half of the short dances! So, I pretty much watched the entire competition and a few things became clear.